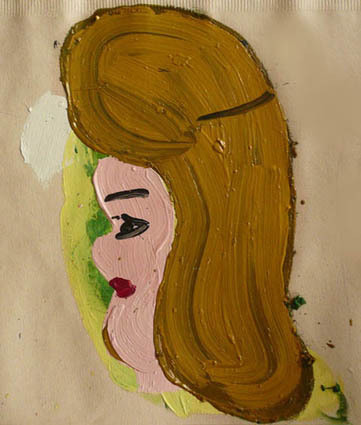 Small Head is the first of a series of profiles painted to form a border around a 6' x 6' painting of a glamour girl with lots of hair. There are 17 of them altogether and two drawings of this particular profile. The whole project (other paintings and drawings) started from a shot of Penelope Cruz in the film Volver.